From kids to grandparents and everyone in-between, SHABOOM! brings the whole family together for an exciting night of gaming. Use the colorful components in your tray to stack, roll, bounce and spell your way to victory. All you have to do is be the first to complete 10 tasks to win the game. SHABOOM! 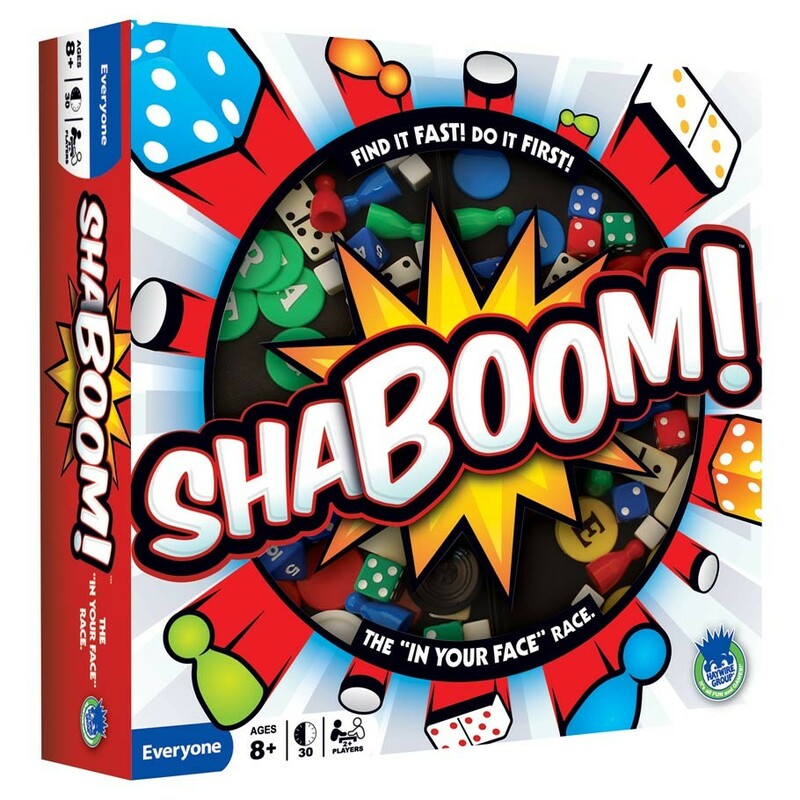 is a box full of excitement that has everyone calling for “ONE MORE GAME!” Stack it, roll it, toss it, SHABOOM!